This Hyundai Santa Fe XL still does what good crossover SUVs do best: it delivers flexible space, decent performance, and great value. 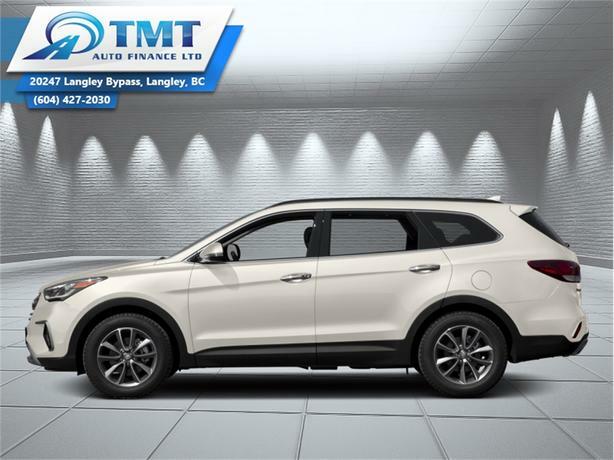 This 2018 Hyundai Santa Fe XL is for sale today in Langley. Hyundai designed this Sante Fe XL to feed your spirit of adventure with a blend of versatility, luxury, safety, and security. It takes a spacious interior and wraps it inside a dynamic shape that turns heads. Under the hood, the engine combines robust power with remarkable fuel efficiency. For one attractive vehicle that does it all, this Hyundai Sante Fe XL is a smart choice. This SUV has 15691 kms. It's white in colour. It has an automatic transmission and is powered by a 290HP 3.3L V6 Cylinder Engine. This vehicle has been upgraded with the following features: Navigation, Sunroof, Leather Seats, Heated Seats, Premium Sound Package, Power Tailgate, Heated Steering Wheel. It has some remaining factory warranty for added peace of mind. Our Santa Fe XL's trim level is Limited. Performance, convenience, comfort, and entertainment; the Limited trim delivers it all. Features include stylish alloy wheels, HID headlights, LED tail lights, driver's integrated memory system, ventilated front seats, 4-way power adjustable passenger seat with height adjust, an 8-inch touchscreen navigation system with rear-view camera, Bluetooth, and a 12-speaker Infinity audio system.